► What’s going on behind the wheel? Tyres have become an increasingly important part of F1 in the Pirelli era of the last five years, and the way in which cars manage their rubber is already a huge factor in this year’s world championship. In 2018, there’s no technological arms race between two manufacturers like Bridgestone and Michelin’s in the 2000s; instead the onus is on teams to best manage their rubber throughout a race. Tyre management has been a buzzword for the few years, but what exactly is it, and what are drivers doing when they’re managing their tyres or putting the hammer down? 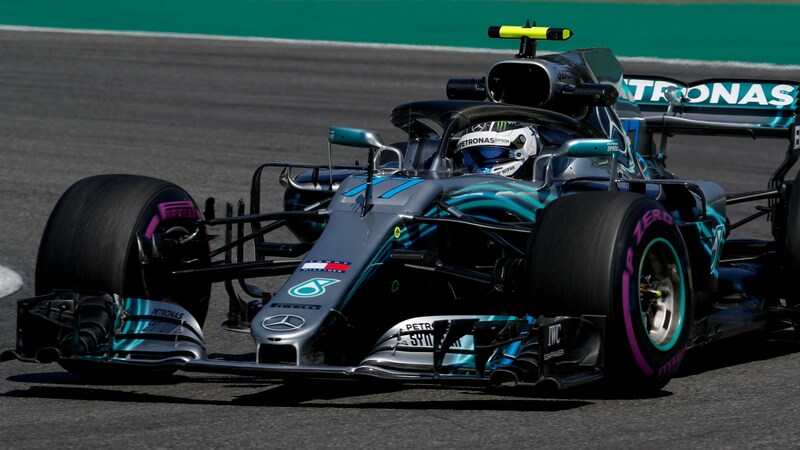 To find out exactly what tyre management is, and what a contemporary F1 driver is doing behind the wheel, CAR had a chat with Mercedes’ Valtteri Bottas. Just as in previous years, teams have access to a range of compounds, starting with the lower-grip longer lasting tyres, and topping out at sticky, low-life Hypersoft tyres. And how kind their car is to them usually has a direct result on the race. Tyres, along with the rain, quite a bit of luck and some team orders played a crucial role in Hamilton’s charge from 14th to 1st in last weekend’s German GP. By extending the life of his soft tyres, Hamilton was able to make up time on his rivals, and then change later, to an even softer Ultrasoft tyre towards the end of the race. At some races, teams have struggled with overheating and blistering, but at others, they’ve been unable to ‘switch on’ tyres: meaning they aren’t able to push enough energy through the rubber to get it up to the correct operating temperature. The result? No grip, and therefore no speed. The key challenge for teams right now is balancing the line between those two things, and getting the most performance out of the tyres for the longest possible time. And it’s an issue that requires both driver and car to work together. 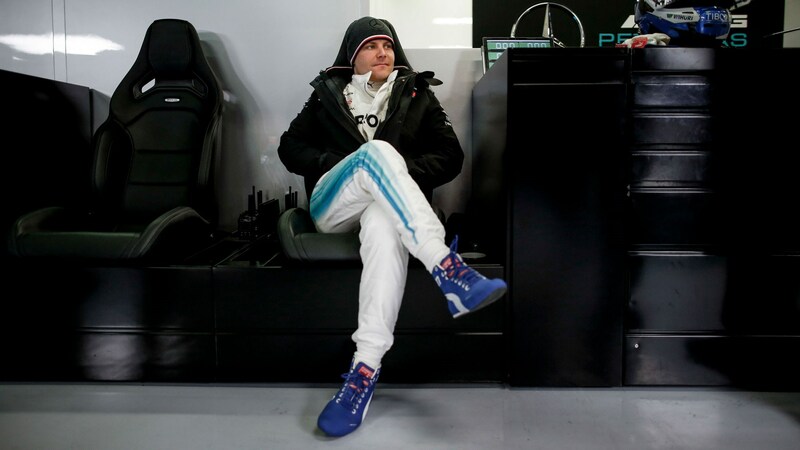 We spoke to Bottas to get a driver’s perspective. 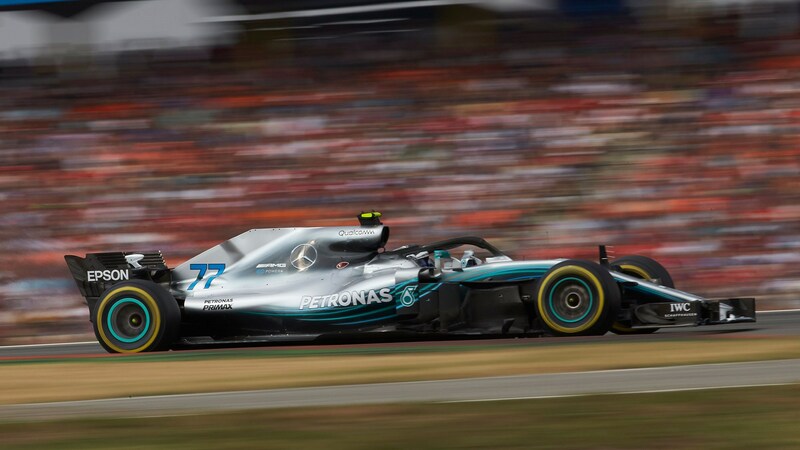 Compared to road cars, Formula One tyres have always been extremely skewed for short-windows of high grip – but Bottas tells us this year’s Pirellis take things to a new level. ‘As a driver you need to try and be efficient that way, so it’s about your driving style. Try and be smooth, try and avoid any big spikes in the tyre energy, so any big snaps or slides,’ Bottas says. 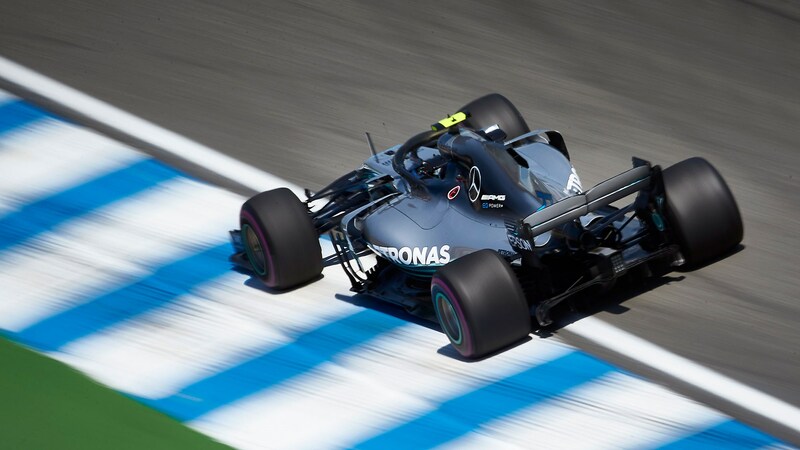 Interestingly, Bottas tells us that lifting and coasting – something usually done to preserve the engine – also has a positive effect on brake and tyres temperatures, too. ‘You’re starting to brake at lower speeds so there’s less heat to the brakes and that also means less heat to the tyres,’ he adds. By driving within the grip capability of the tyres, drivers are able to preserve their rubber – but sometimes it’s just not possible. Every so often, in key areas of the track, trying to manage tyres will lose you more time in the long run than letting them deteriorate. ‘Example: If there’s a hairpin and a massively long straight after you can’t save your tyres too much on the exit, because otherwise you’re going to be losing all the straight down to the next corner so you need to choose the places where to save the tyres,’ Bottas tells us. Thankfully for drivers and fans alike, tyre management isn’t always about preservation. In the final phase of qualifying – and especially at the end of stints – drivers are able to take all the grip and life out of their tyres. So what’s happening then? Modern-day F1 may be criticized for its emphasis on strategy and pit-stops, but in truth the driver still makes a dramatic difference– especially during times of car and tyre management.